Sisters High School | A great place to live and learn. Join us for Outlaw Cross Country, Football, Volleyball and boys and girls soccer. So many great opportunities to come and support our hometown Outlaws on the field this fall. Sisters High School has long been known for strong academic support and teachers and staff who encourage inspired learning. Honors and advanced placement classes are offered in a variety of subjects. Sisters Country is known for the support of the Sisters Schools both financially and through volunteer efforts. Many classes, field trips and workshops are offered due to the outstanding support from area individuals, businesses, and industry leaders. Innovative, creative, inspired. Those are a few words that describe the many unique programs and classes here at Sisters High School. Programs like Environmental Science, Sustainable Agriculture, Flight Science, Americana and more encourage young people to experience new opportunities and create a robust educational experience. Sisters High School is nestled at the base of the Three Sisters mountains in the rural community of Sisters and it is a unique and incredible school. Students have the opportunity to choose from classes not offered anywhere else on the west coast. this includes classes like: Flight Science, Interdisciplinary Experiential Education, and Woods 2 where students get to build their own guitars. Sisters High School has many academic options for students to explore. A multitude of clubs, activities, and sports help round out a student’s experience. Real world learning, such as Arts and Programming (coupled with STEM workshops) are a regular occurrence at SHS. 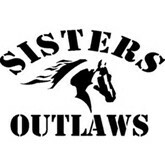 The small class sizes, dynamic teaching staff, and multiple volunteers support students throughout their time as a Sister Outlaw. It’s a great day to be an Outlaw. An Interactive Art Experience has been rescheduled due to the massive snowfall we had at the end of February.